TDS Racing has responded to the FIA’s rejection of an appeal against its double disqualification from the 24 Hours of Le Mans. The French team, which ran the No. 26 G-Drive Racing and No. 28 TDS Oreca 07 Gibsons, took note of the decision made by the FIA International Court of Appeal, however technical director Jacques Morello said it was “truly surprised” by the outcome. Post-race scrutineering found that both the winning G-Drive car – driven by Jean-Eric Vergne, Andrea Pizzitola and Roman Rusinov – and the fourth-placed TDS machine had used a non-compliant part in their refueling rigs. The cars used a “machined part” inserted between the fuel flow restrictor and Dead Man Valve that decreased turbulence during refueling, effectively speeding up the process by 25%. This helped the G-Drive crew gain 6-10 seconds per stop, which led to the No. 26 Oreca dominating the race and finishing two laps ahead of the second-placed car. The investigation upheld the findings made by the Le Mans stewards and classified Signatech Alpine’s Nicolas Lapierre, Pierre Thiriet and Andre Negrao as LMP2 winners. “We are truly surprised by the decision,” said Morello. “In accordance with the regulation and before the race, the technical delegates had the time and facilities to inspect all these elements, and did not enter any reservation nor remarks. “The court indicated that there was no other specific criteria to the flow restrictor than the inner diameter of maximum 38mm. “It has to be noted that in the following weeks after the 24 Hours of Le Mans, and before the ELMS 4 Hours of Red Bull Ring, a clarification concerning the refueling has been requested by one team. During the appeal, TDS agreed that it designed the part in question to speed up refueling, but suggested that teams are free to design their own fittings connecting the restrictor to the Dead Man Valve. It claimed that because the part was as a “fitting”, it only needed to meet the one criterion regarding fittings in the technical regulations. However, the FIA court declared that the part was not a fitting, and that the technical regulations forbid competitors from adding new elements to the refueling system “apart from the necessary fittings”. Team manager Xavier Combet did not comment on the appeal’s outcome but praised the work of the G-Drive partnership which recently clinched the European Le Mans Series title. Vergne, Pizzitola and Rusinov won their first race after Le Mans at the Red Bull Ring, before wrapping up the LMP2 championship at Spa last month. 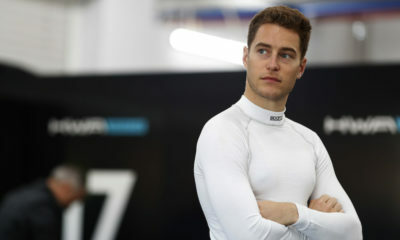 “I would like to sincerely welcome the great performances of each of our six drivers all along the season, as well as the undeniable skills of our technical staff who earns my total confidence,” said Combet.